Hold up to 63 train line or small air brake hoses. 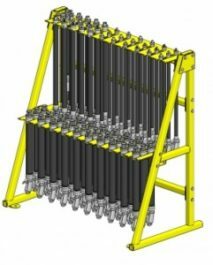 The double-tier design provides maximum storage of air hoses in a minimum amount of space. 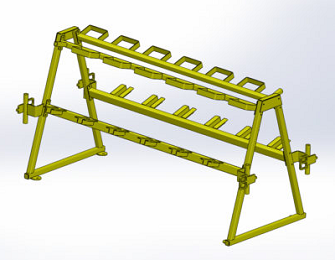 Mounting holes are provided in the feet to secure the rack. Provides a secure method of retaining used slack adjusters in preparation for shipment for rebuilding. 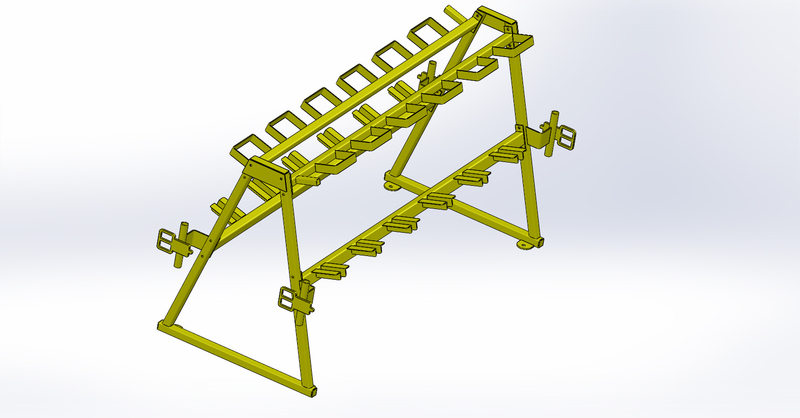 Provides simpler loading of the slack adjusters on pallets. Pallet storage shelf retains the pallet directly under the slack adjusters. 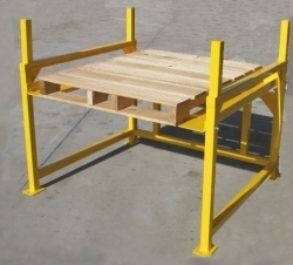 Empty pallets may be stored between the rack legs. • Constructed entirely from stainless steel. • Storage areas are provided on the box for switch brooms and shovels. • Reflective tape is applied to the sides and front of the box for night visibility. • Holes are provided in the back plate for mounting with bolts or lag screws.